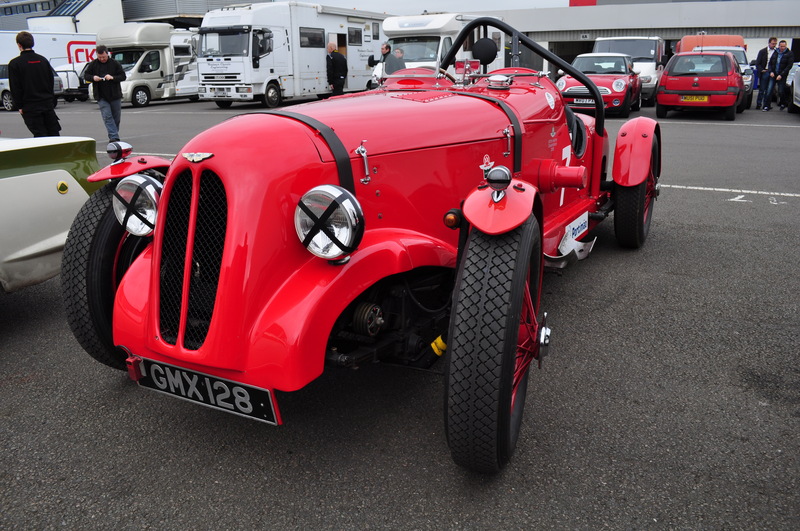 The AMOC event includes some great racing categories providing access not just to a range of Astons (ancient and more modern) but also to a massive number of cars from famous and from more obscure marques. Wandering around the old National Paddock and garages took me back to the races I attended in the 1980s and the atmosphere was just the same. As hosts of the event it would be churlish not to start with some coverage of the Aston Martins attending and racing that day. The age of this company (100 years old last year) means that they have quite a heritage to draw upon and that includes a very illustrious racing heritage. 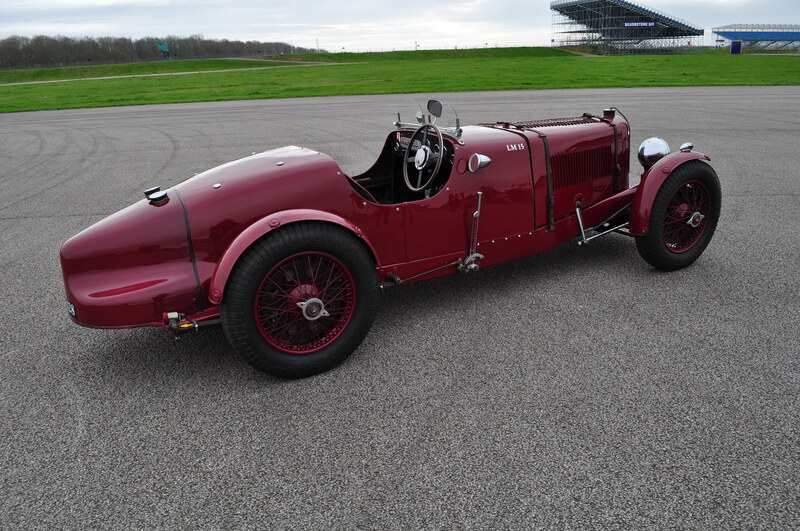 One particularly lovely pre-war Aston was being set up for a photo-shoot out on some of the infield tarmac so I took the liberty of sneaking a few shots whilst the professional cameraman sorted out his tripod, lighting etc. 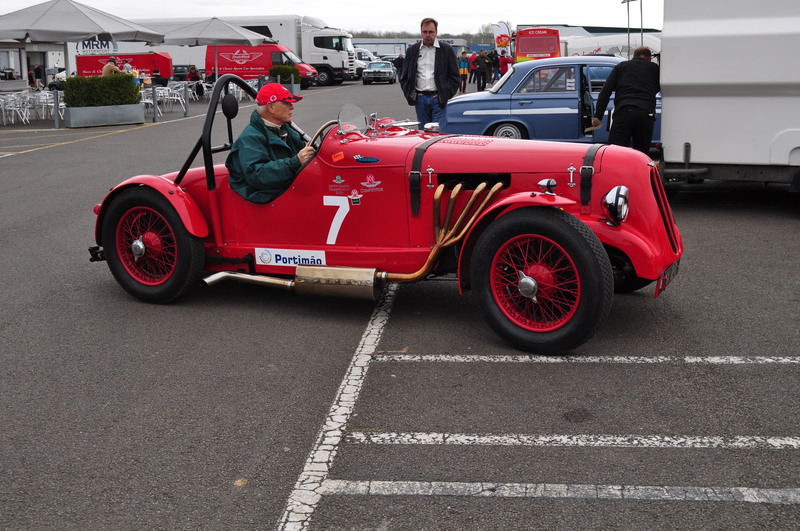 It turned out to be LM15 – one of the 1934 Ulster Team Cars. I love these pre-war cars with their cart springs and Andre Hartford friction dampers. 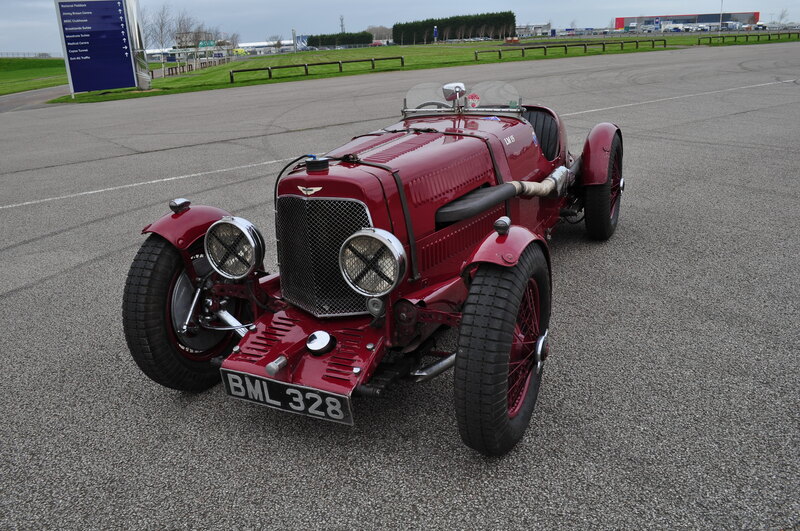 The other really stunning pre-war Aston that stood out was a 1937 15/98 2 seater. 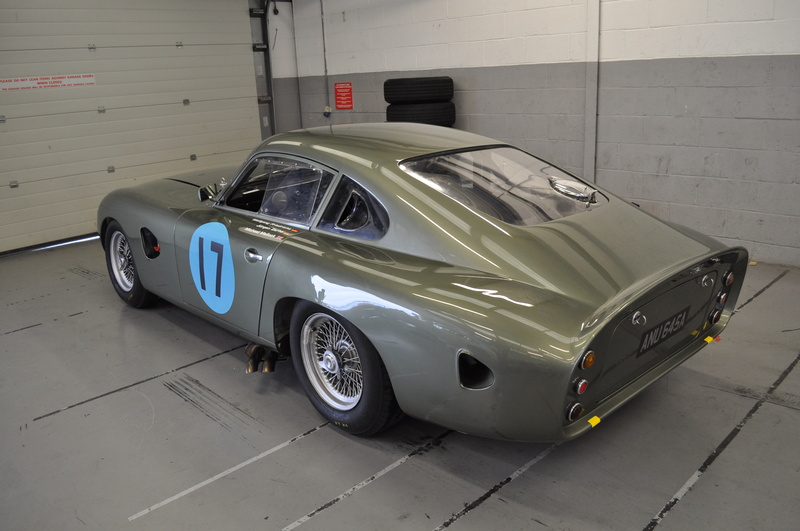 The 50s and 60s were a racing heyday for Aston Martin and they developed some very special machines. One of their most sublime cars was the DP214 which was an onward development of the earlier DP212. 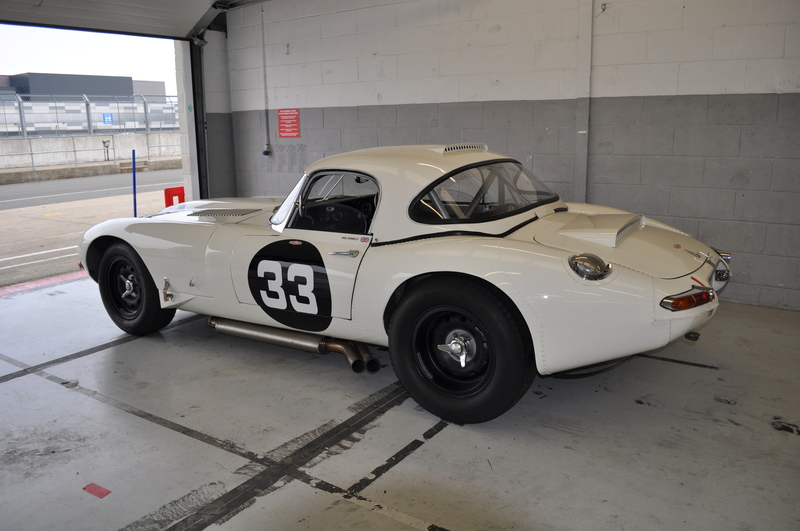 It was raced in the GT racing category at Le Mans and other venues by the likes of Bruce McLaren and Innes Ireland. Only 2 cars were originally built of which only 1 survives but at least 3 faithful replicas have been created. 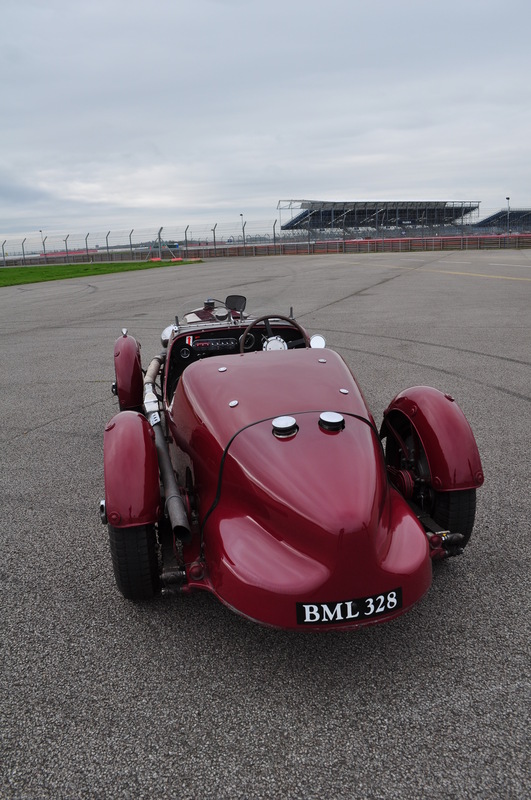 The DP212s and 214s have lightweight and streamlined bodies with Kamm tails typical of race cars of the period. 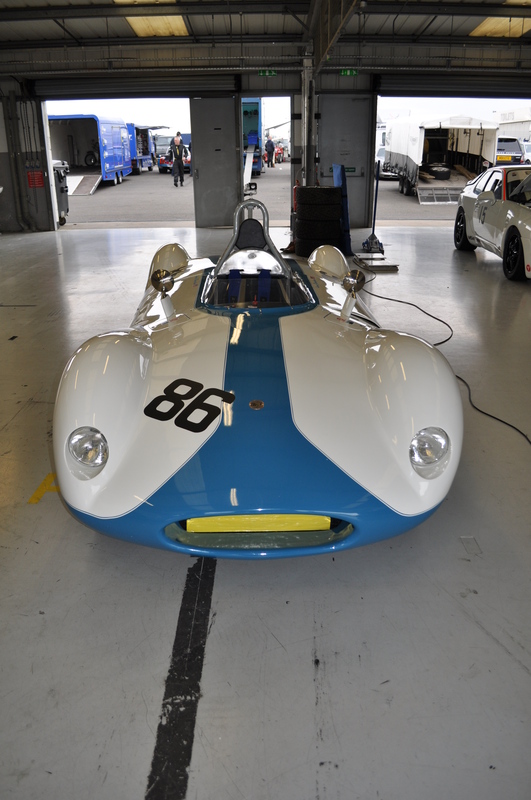 The David Brown cars were raced enthusiastically during the 50s and 60s. 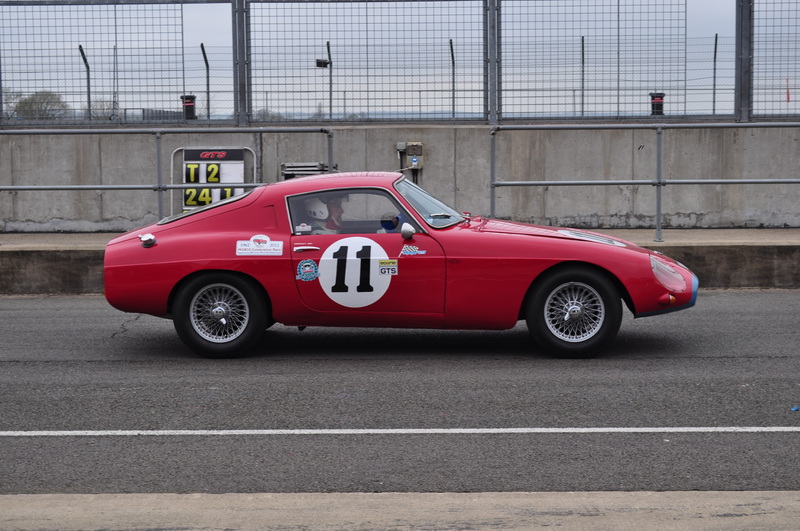 This period saw DB2,3, 4 and 5 cars competing in the GT class with great success. With Superleggera (super lightweight) tubular chassis, alloy bodywork and powerful Tadek Marek designed straight 6 engines – they were a force to be reckoned with. 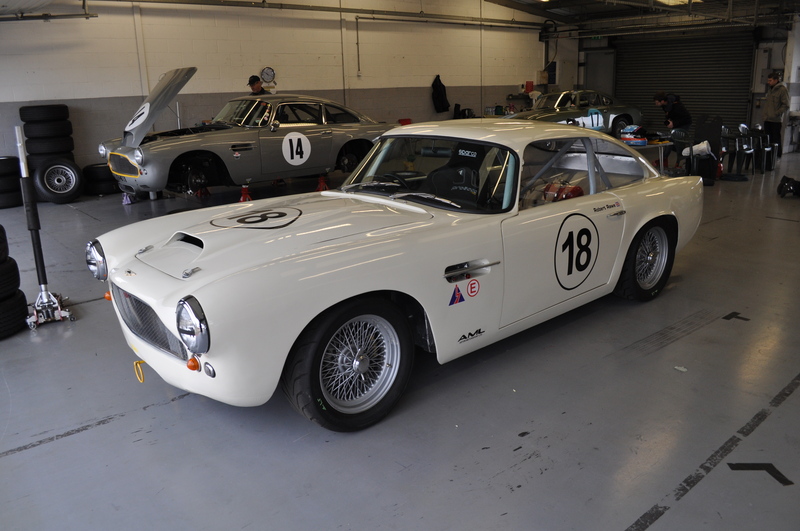 The later stretched and heavier DB6s were by contrast a bit too heavy to be raced. Lightweight short chassis versions of DB4s (e.g. the DB4 GT) were particularly successful and these spawned drop-dead gorgeous limited edition variants such as the DB4 GT Zagato – one of my favourite cars. The William Towns bodywork design of the V8s was a bit too brutal for me in comparison to the Italian (Touring of Milan) designed DBs. 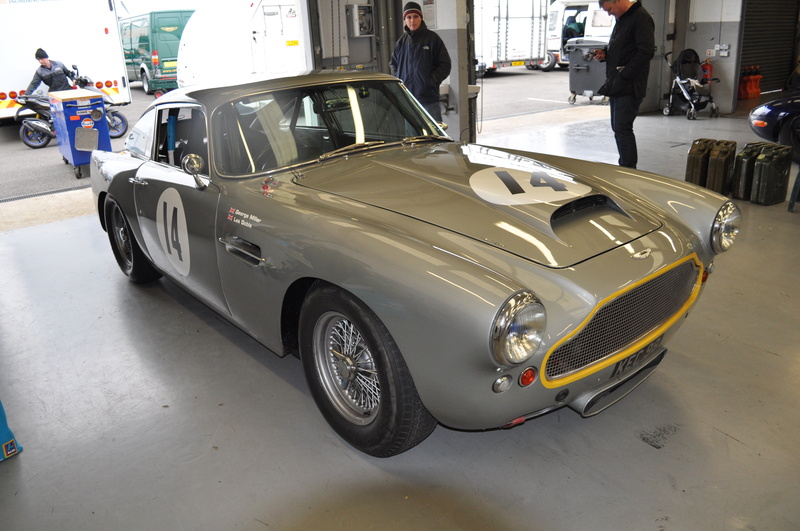 There is however no argument about the potency of their big (in this case 5.3 Litre) V8 engines and I’ve enjoyed watching some great races over the years involving these cars and other race specials using the Aston V8 engine (e.g. the Lola Aston Martin). 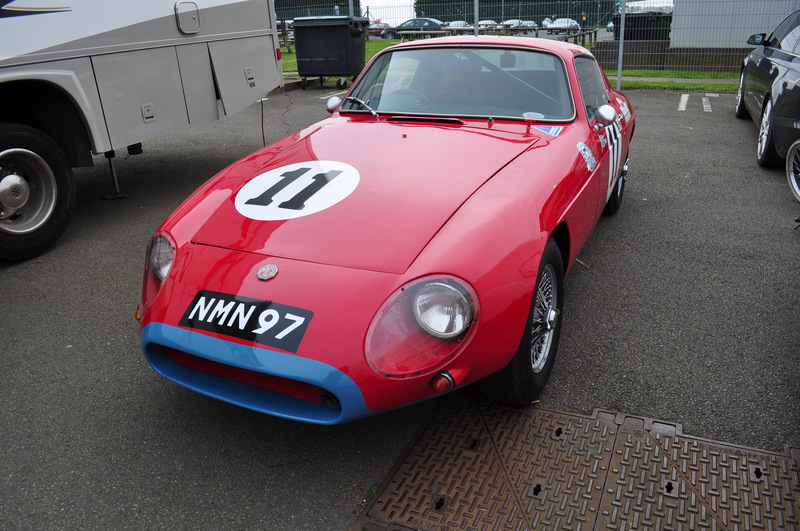 I was really pleased to see a number of TVR Griffiths at the event. 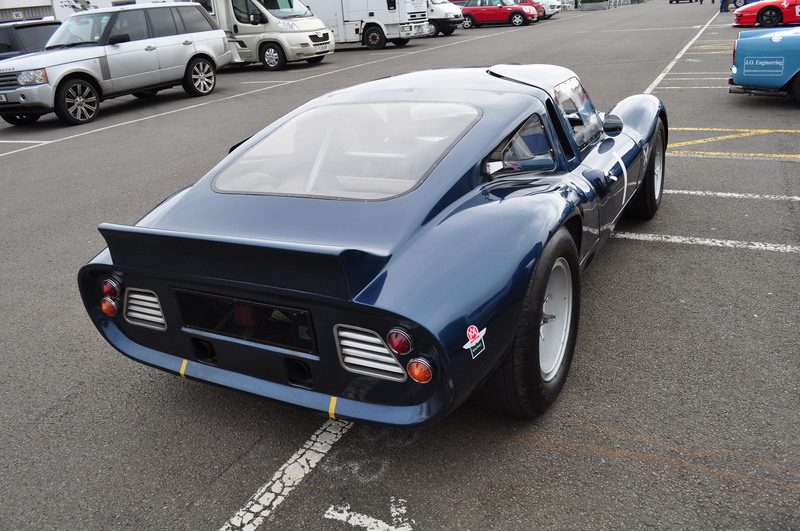 I’m talking about the 1960s 200s (signifying almost 200 bhp – actually 195bhp) and 400s (not signifying 400 bhp but actually around 271bhp but also with a a different Kamm tail body design) not the much later Griffiths produced by this sadly extinct but possibly soon to be resurrected Blackpool manufacturer. The pretty red bulbous (Grantura) tailed 200 was lovely but I have a personal preference for the Kamm-tailed 400s. With the exception of some flared wheel arches to house fat wheels and tyres – these closely resemble an S2 1600 Cortina engine Vixen that I used to own. and big American V8 motor). Their tubular chassis and fibreglass bodywork make them pretty light and very pokey cars but with little difference between the dimensions of wheelbase and track they were pretty easy to spin when pressed hard round a bend. I managed to spin my Vixen once as I over-enthusiastically exited a roundabout using a little too much throttle. Fortunately it just spun 180 degrees leaving me on the correct side of the road but pointing in the wrong direction. Very embarrassing! Two cars really caught my eye in the paddock and on track. These were a Tojeiro Ford GT and a Tojeiro Jaguar which are pretty rare beasts so to see 2 such cars at the same event was unusual. 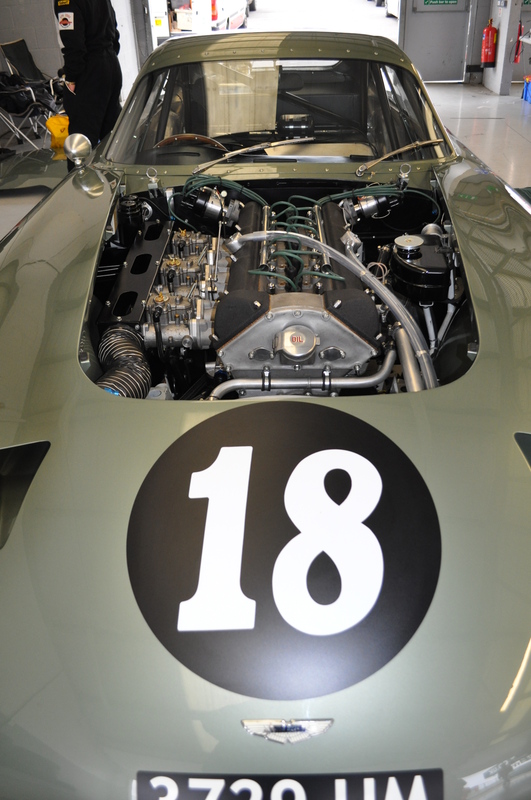 1964 Tojeiro Ford GT – there’s a 4.7 Ford V8 hidden somewhere in this lovely little car! Museum and it performed fantastically well winning it’s main race easily ahead of the rest of the field. English Mother after his Portugese father died. He’s not exactly a household name but he produced some brilliant car racing car designs for the Ecurie Ecosse team and he is perhaps most famous for creating the beautiful AC Ace which was later transformed through a Carroll Shelby engine transplant into the AC Cobra. 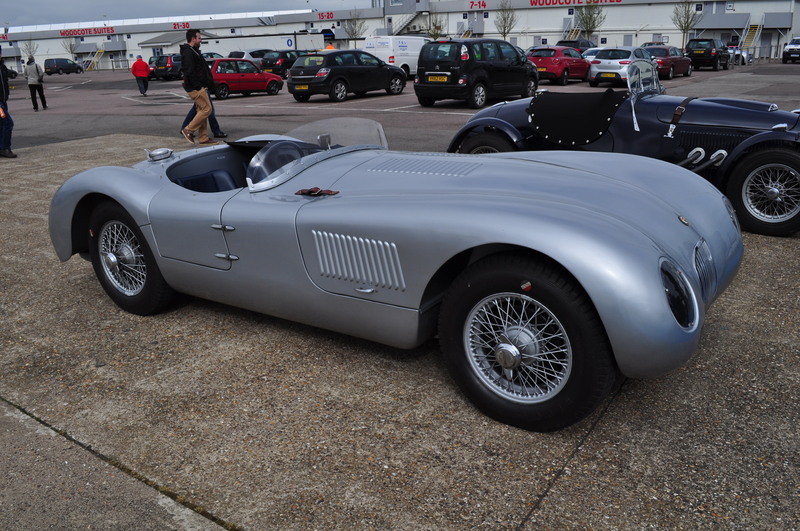 Interestingly the AC Ace bodywork was influenced by the Ferrari Barchetta. It had a lightweight tubular chassis and aluminium bodywork and it was powered by 1 of 3 straight 6 engines from AC, Ford or Bristol. The Bristol engined cars are the most desirable as this proven and well designed engine was essentially a BMW 328 unit given to Bristol as war reparations after WWII. 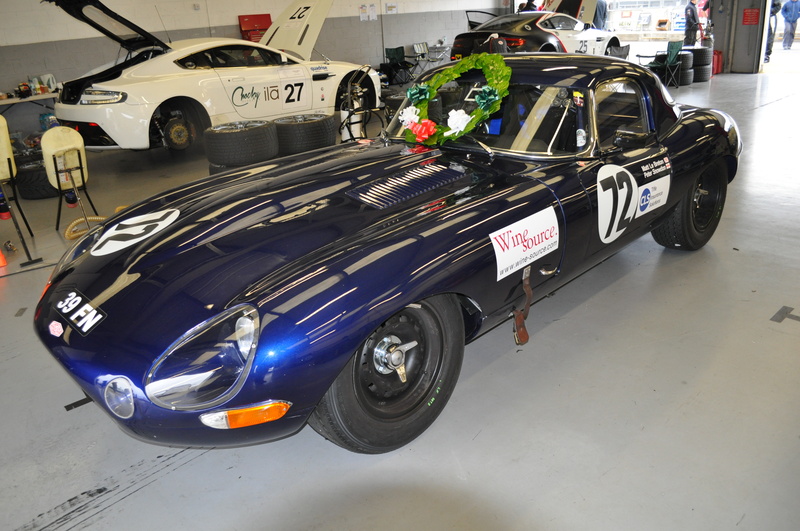 AMOC seem to have a particularly good reciprocal arrangement with the Jag Drivers Club (JDC) in that each invites the other to their events and each club provides a really good turn out of cars. 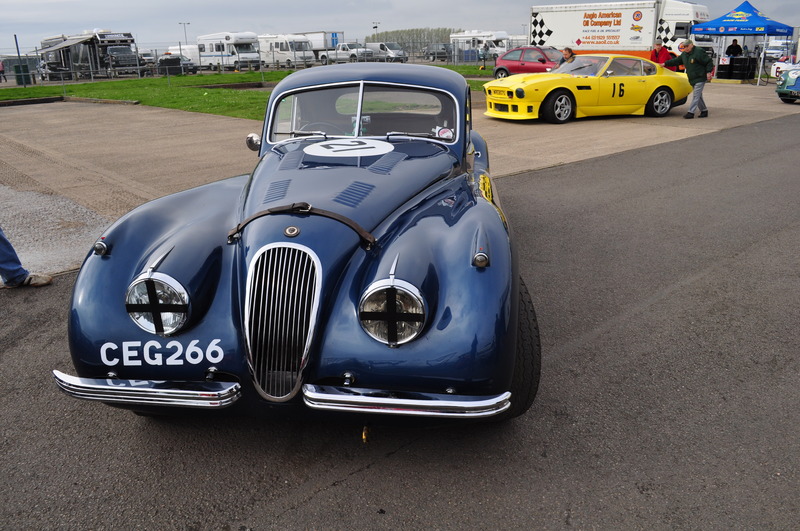 At this event there were a wide range of Jags but my favourites are the XKs – especially the XK120. The shape of the coupe is just sublime. 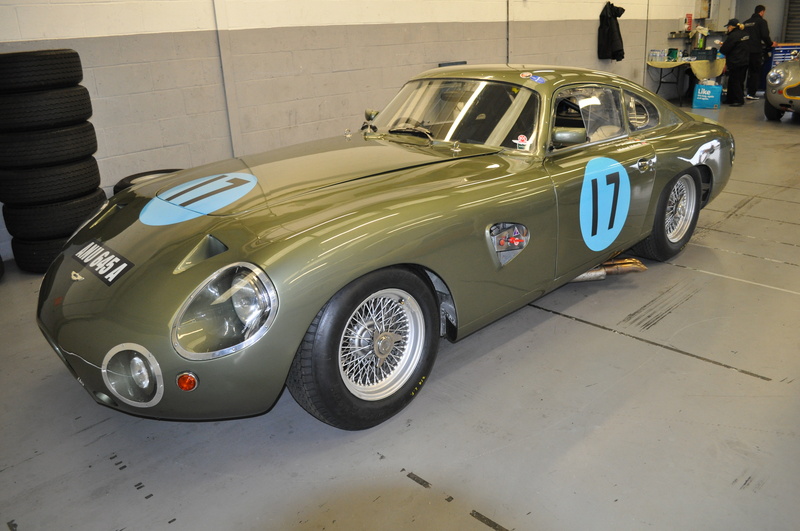 XK120 Coupe awaiting pre-race scrutineering. “Four wheels + driver …. on you go”! There’s a theory that when sketching out the design of the XK120 whilst on fire watch on the Coventry factory roof during WWII bombing raids – William Lyons and his team were influenced by the body styling of the Mille Miglia BMW 328. 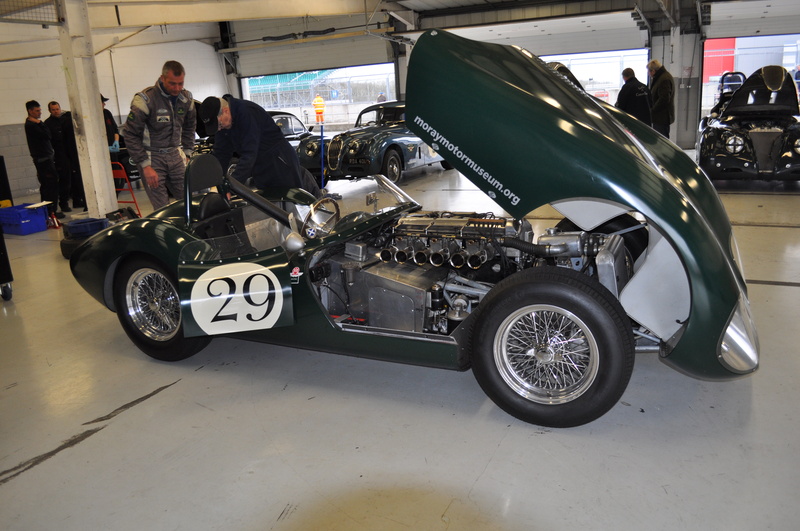 A lovely C-Type Jag turned up in the paddock part way through the day. 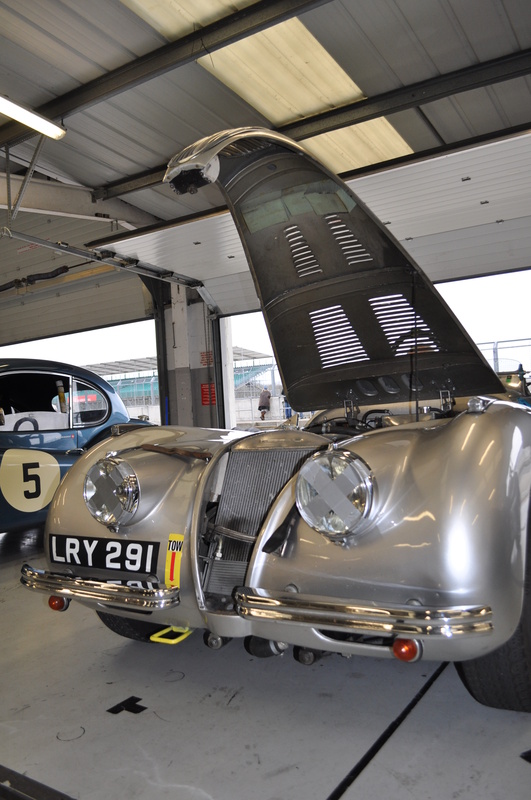 These very pretty but fast and reliable cars kick-started Jaguar’s winning ways at Le Mans in the 1950s. 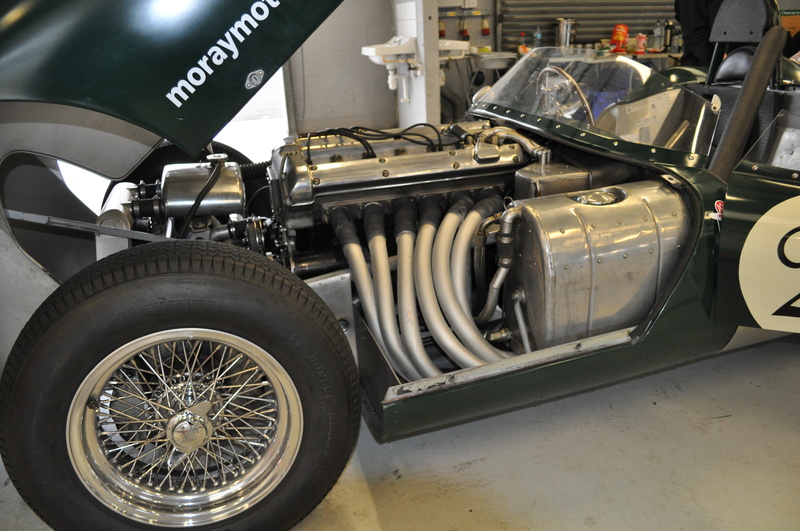 NB: That’s a Frazer Nash Le Mans Replica parked behind the C-Type. 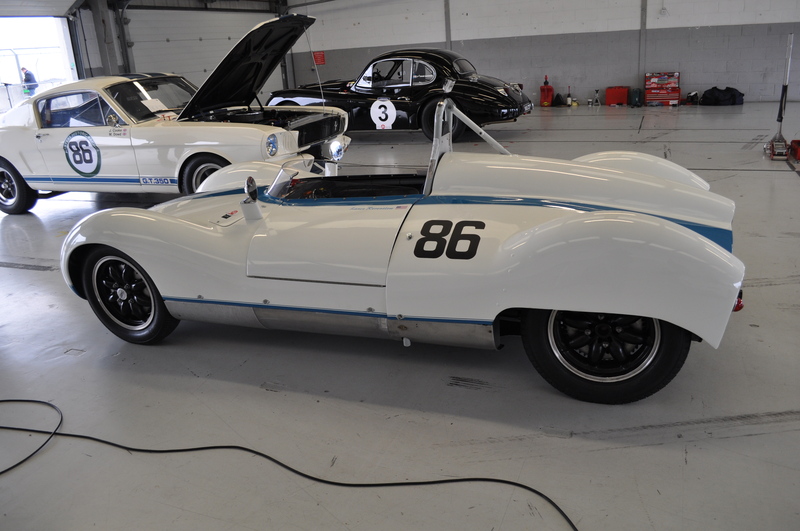 Quite a few E-types were racing out on track including some very quick Lightweight cars. 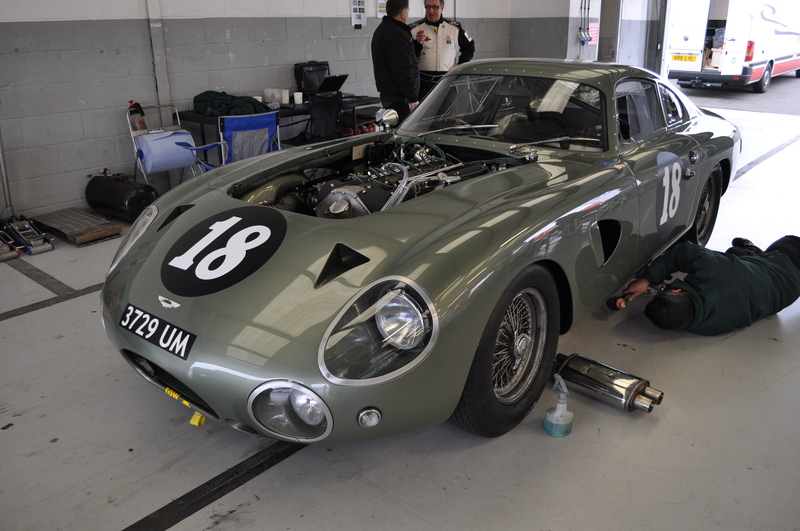 The arrival of the E-Type on the GT racing scene in the early 60’s scared the likes of Ferrari so much that Enzo Ferrari tasked Giotto Bizzarrini with the rapid onward development of their increasingly out-classed 250 GT SWB car to create the fantastic 250 GTO in order to remain competitive. Unfortunately just after completing the working GTO prototype Bizzarrini left Ferrari along with a group of colleagues after a bit of an argument with Enzo. It was then left to Mauro Forghieri and Sergio Scaglietti to “productise” the GTO. “Beware of low-flying 1963 Ford Galaxies”! 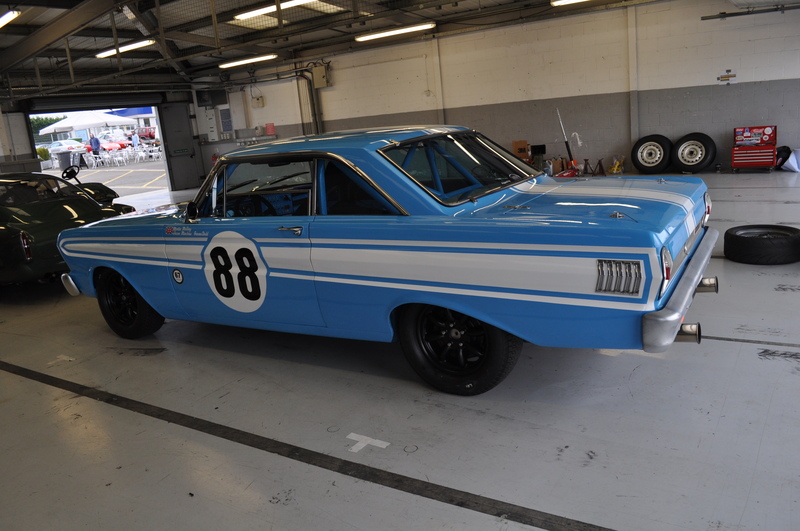 I have to admit that I’m not really a fan of American cars – especially those from the 60s and 70s but they do create something of a spectacle whanging round tight European circuits. 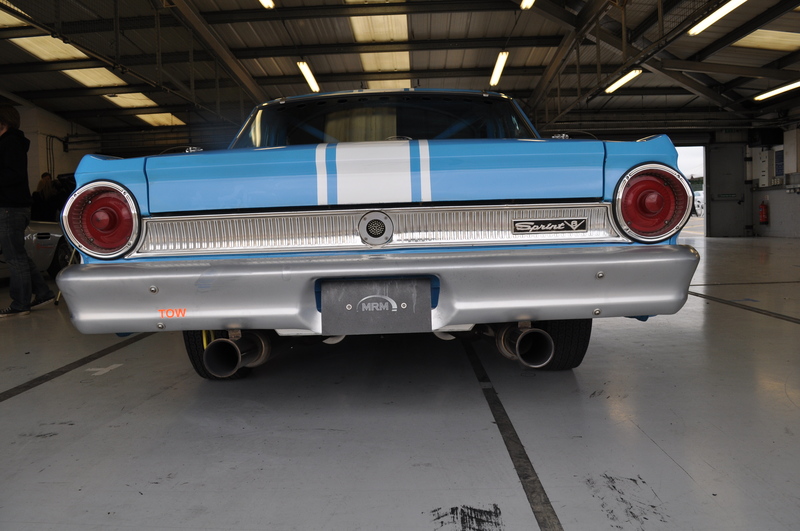 You could fit 5-a side football pitches on the bonnet and bootlid of the Ford Galaxie so it looks particularly incongruous racing alongside its tiny period Touring Car competition of Minis, BMW Tiis, Alfa Romeo GTAs & Guillietta’s and so on. “Just four careful previous owners”? 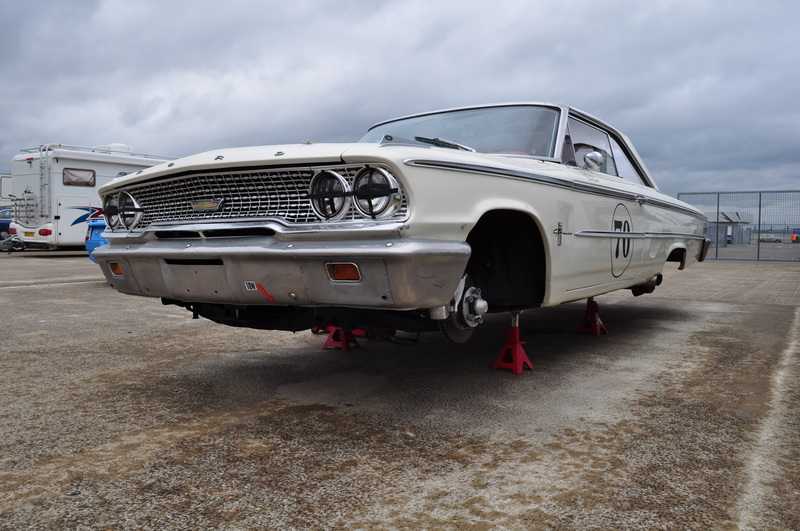 The white 7 Litre Galaxie pictured here was mightily quick which was right and proper given its current and previous drivers! With such massive engines – there’s no shortage of grunt to fling these behemoths down the straights but they must go through some severe suspension stiffening to prevent them from cornering on their door handles! 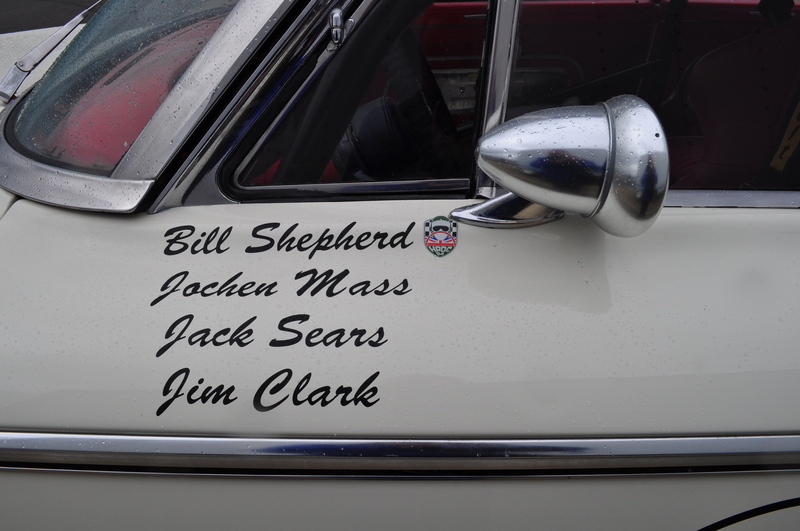 It was great to see the sometimes eclectic mix of cars that are enthusiastically raced at these events. 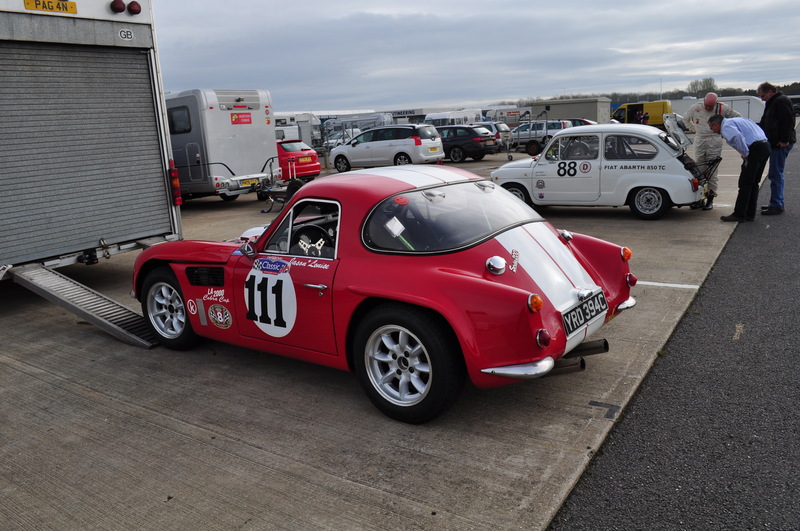 Whilst some are what were regarded as relatively mundane cars in their day – they provide owners with a cost effective and fun entry point to classic racing and any car if well prepared can outperform bigger and more glamorous competition. 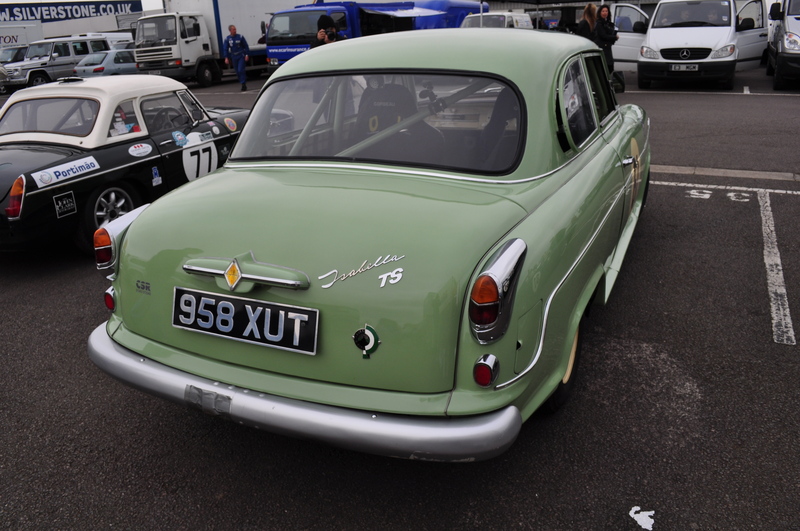 Along with the mass produced cars – there were also some quite rare low volume manufactured cars, modified cars and specials (often based on more readily available cars but with lighter and more streamlined fibre-glass bodywork). 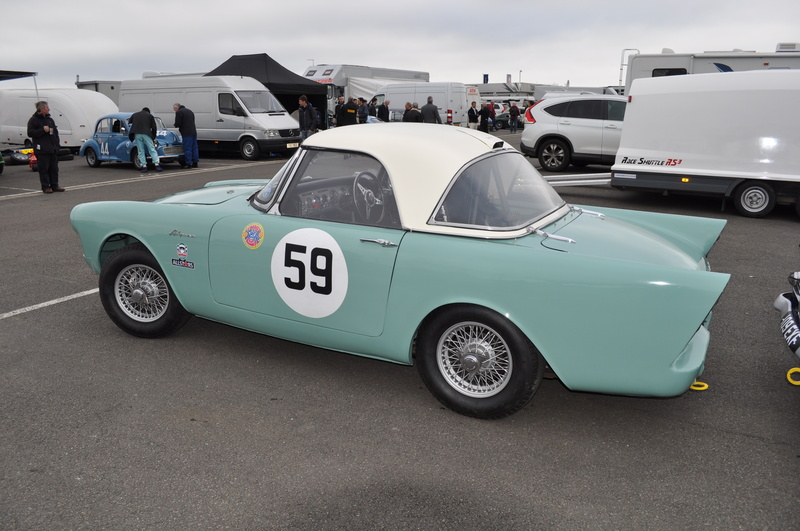 The Ashley MG Midget was essentially a Midget with metal wings and bonnet replaced by a lighter forward hinging one piece bonnet. 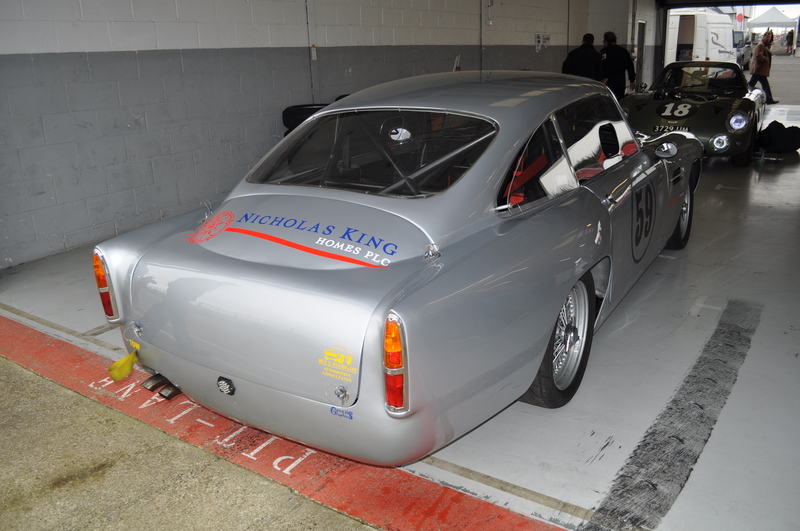 It also benefited from a fastback fibre glass roof extending over the rear luggage compartment. 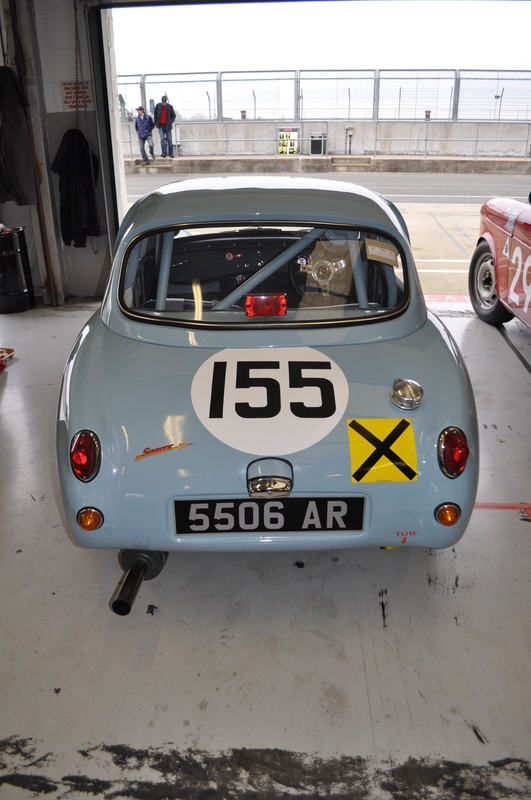 Interestingly after going out of production for some time the Ashley company seems to alive and well again providing parts to convert Spridgets into Ashley GTs and also providing parts to prepare Austin A35s and A40s for racing. It looks great and it explains why there are so many beautifully race prepared Spridgets and Austin saloons kicking round. Mystery solved! 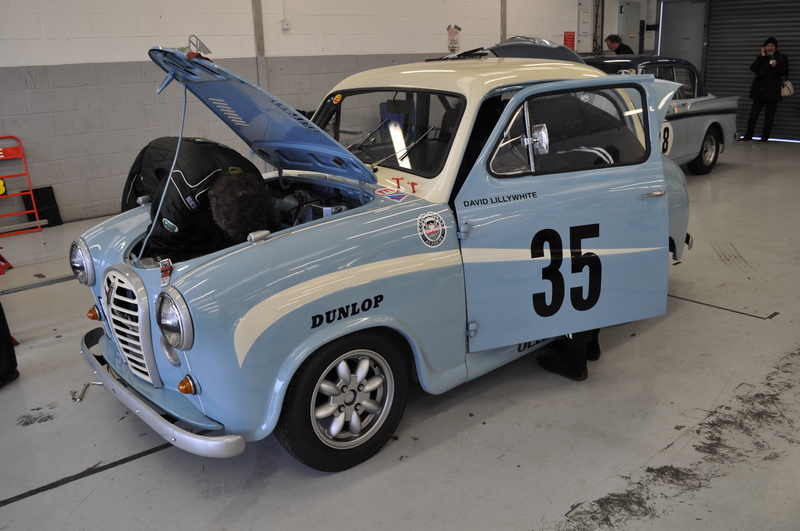 My Mrs always fancied an Austin A35 as a runabout and if they looked as good as this one – I’d be tempted to indulge her. 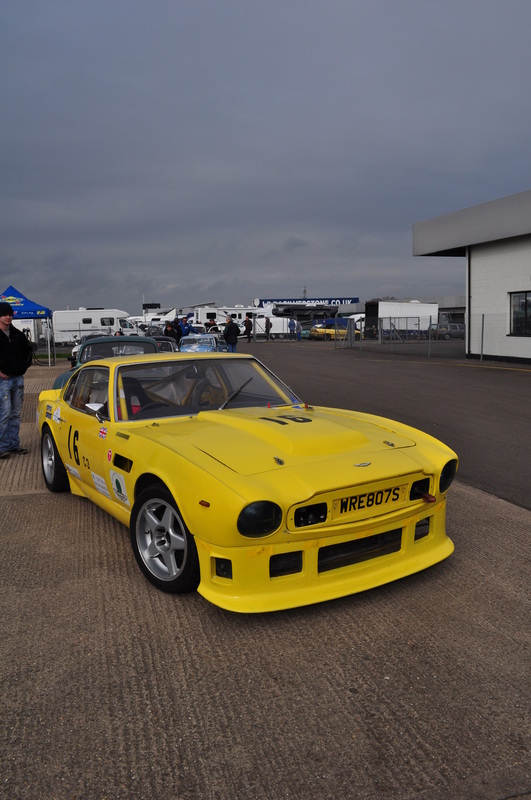 This one was being raced by David Lillywhite of Octane Magazine fame. 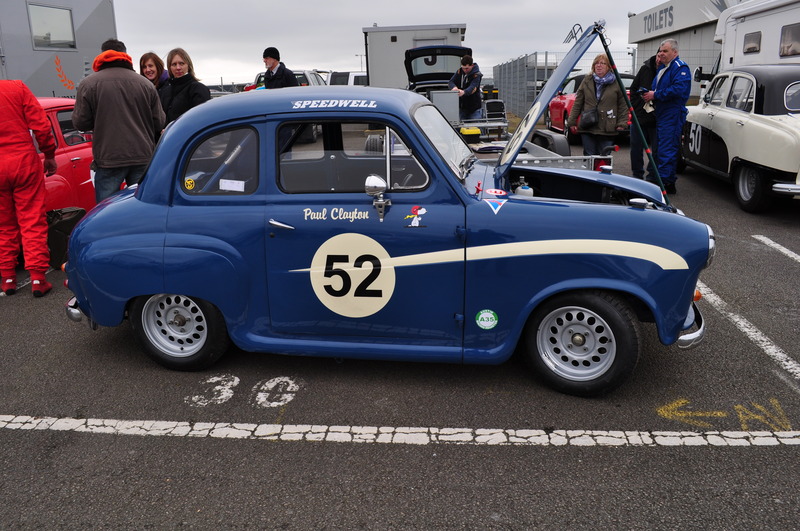 I also spotted a Speedwell A35. Did you know? :- Graham Hill was a director of Speedwell which specialised in providing tuning parts for A-series BMC engines (including superchargers). Hill’s business involvement in Speedwell coincided with his active involvement in racing as a Grand Prix driver. Rumour has it that he used to drive to Monaco and other European GP races in which he was competing in his supercharged Speedwell A35 “company car”. I can’t imagine Lewis Hamilton pootling around the roads of mainland Europe in the modern equivalent of an A35 to attend F1 races! 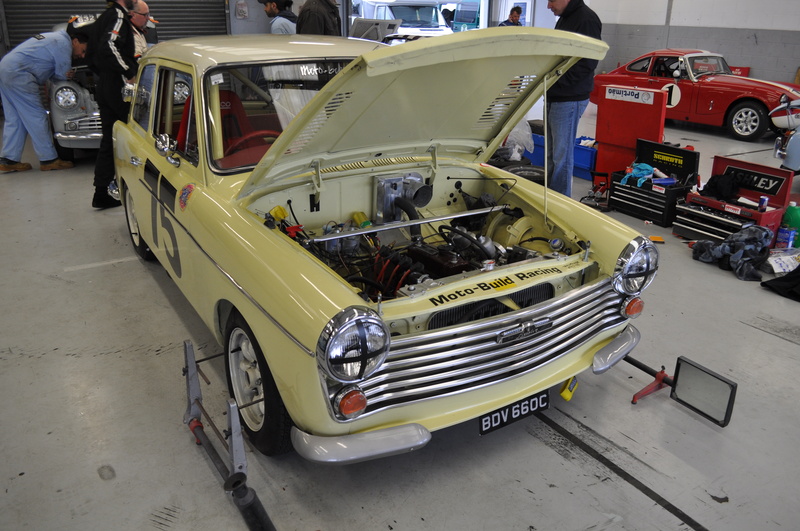 There was also a very nicely Ashley prepared Austin A40 which looked like it would be good fun to race. I remember my Aunt & Uncle in Cockermouth having one of these these Farina bodied saloons in the early 1960s. It seemed very exotic at the time. 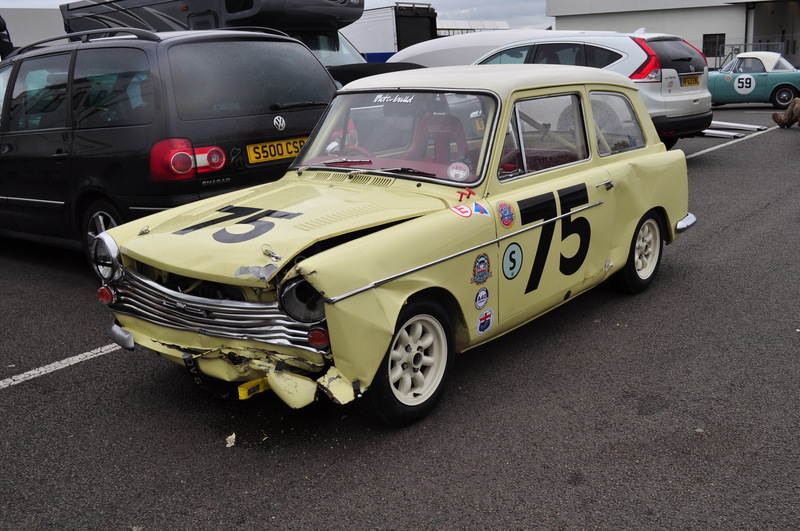 Austin A40 – after the race! 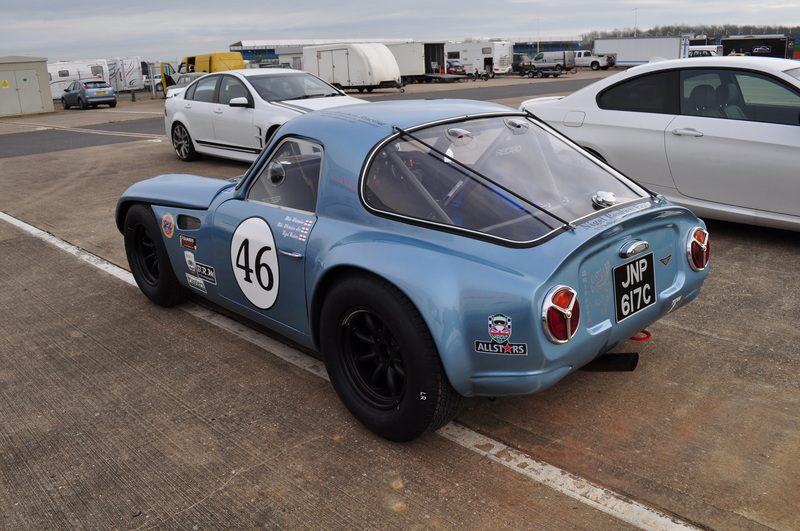 This Sebring Sprite recreation driven by Graham Robson was like a mini-Ferrari 250 GT. 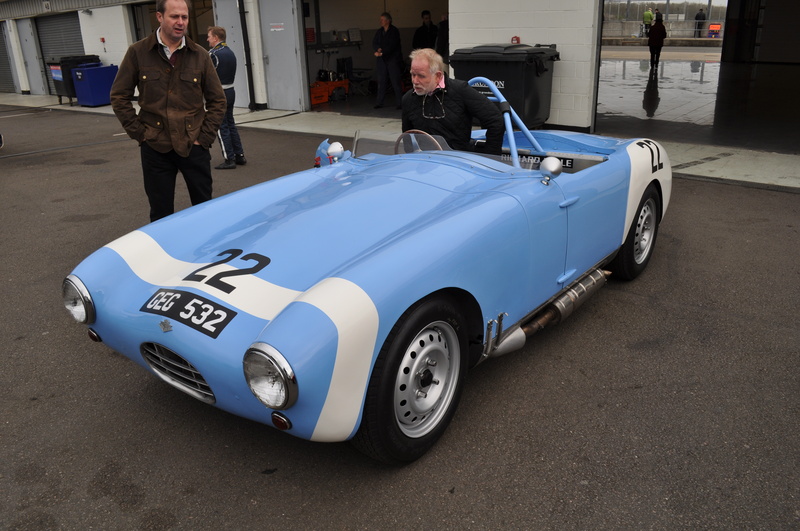 It’s great to see these cars being recreated and raced by enthusiasts. My 1st car was a Mk III Austin Healey Sprite but I always wanted a Mk I Frogeye. 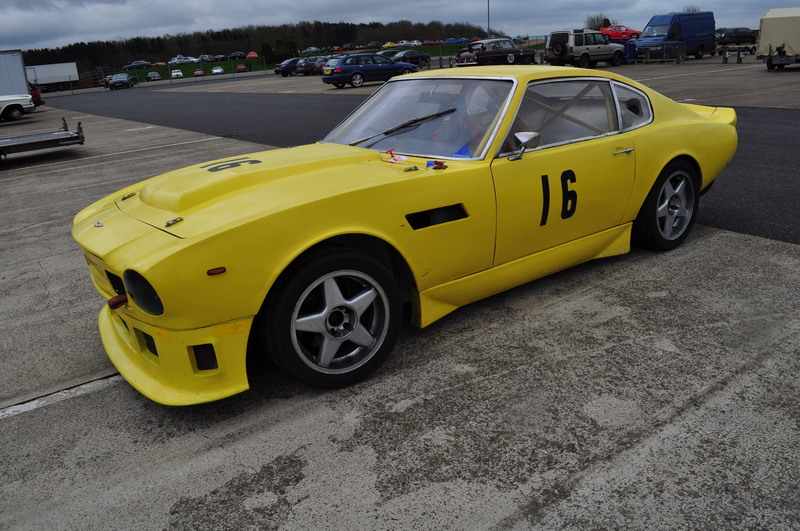 Having seen this Sebring version – I’d be tempted to go for one of these instead. In name alone – this is a curious car. This 2 door 1.5 Litre coupe was manufactured in Bremen in the North of Germany in the 1950s. The owner of the company (Carl Borward) named the model after his wife Elisabeth. It looks like an awful lot of metal to be dragged around by a 1.5 Litre engine! 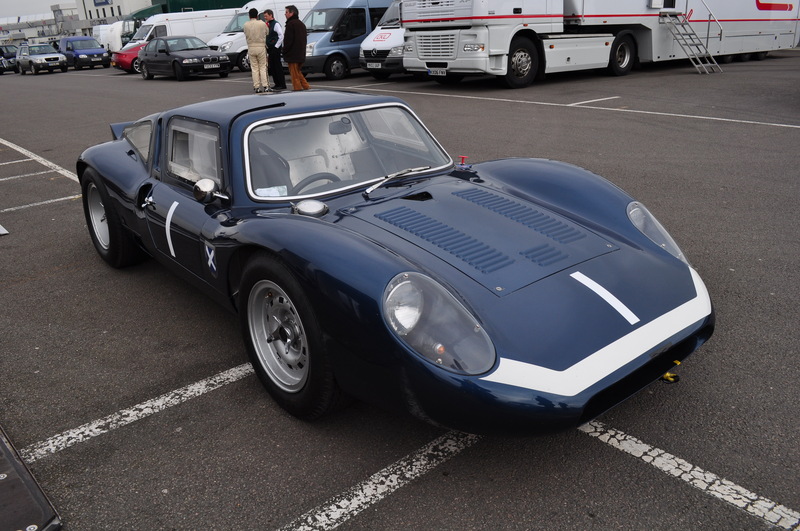 This ex Lance Reventlow Cooper Bobtail looked dwarfed amongst the some of the other cars it was racing against (XKs, Big Healeys, Aston DB2s). It’s a lovely little package however with it’s central driving position and wonderfully balanced mid-engined design it marked a revolution in sportscar design . Did you know? :- Lance Reventlow (full name Lawrence Graf von Haugwitz-Hardenberg-Reventlow) was the son of Barbara Hutton the Woolworth heiress and a Danish aristocrat. His wealthy background enabled him to indulge his sporting interests in motor racing, skiing, flying and yachting. Through his step-father Cary Grant – Reventlow spent much time in Hollywood where he became great friends with fellow racing enthusiast James Dean. He went on to build his own Scarab race cars. Matching tie & hanky? 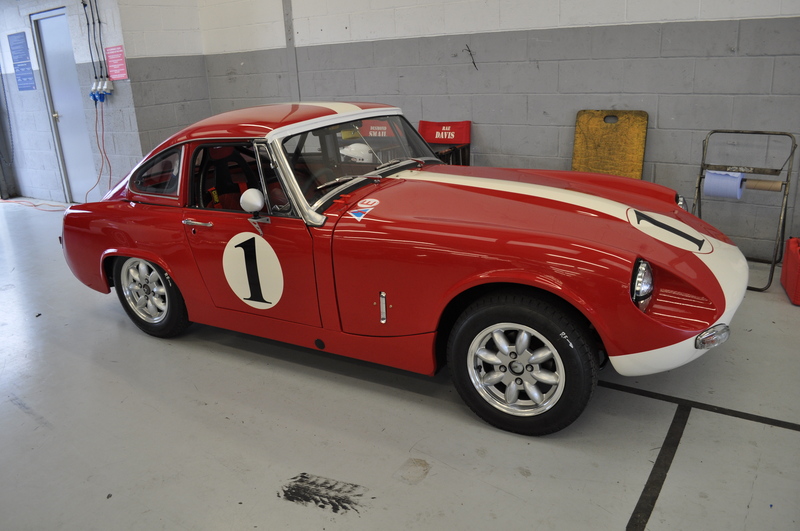 No – just a race suit colour coordinated with this 1965 Hillman Imp Rallye. Not sure about the pink wheels though! 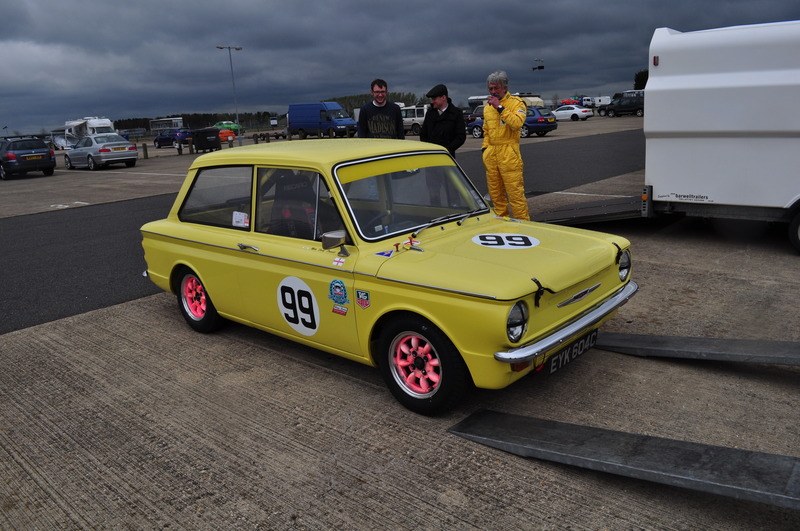 It was nice to see this brightly coloured rear engined Hillman Imp racing as these used to be really popular race cars in days gone by due to their nimble handling and highly tuneable engines. 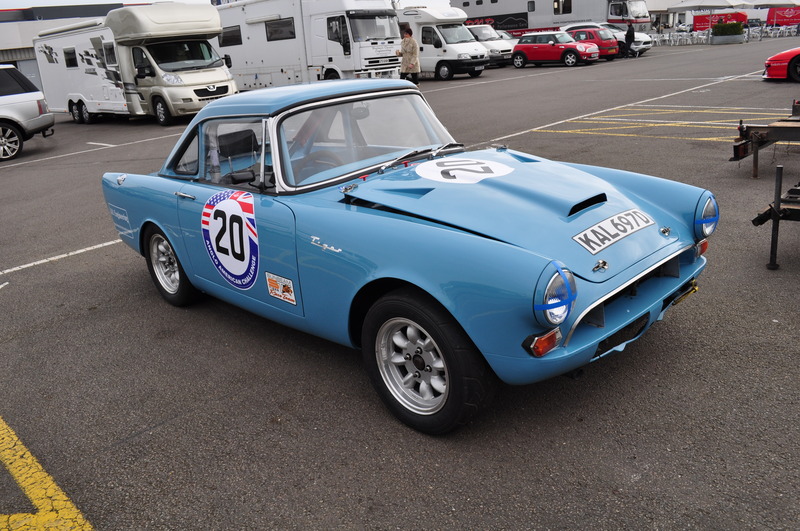 The Lotus Cortina really seems to have taken off in terms of its desirability for historic racing and when set up properly and driven to the limit – they’ re highly competitive against much bigger engined cars. The engine bay in this car was immaculate with the lovely Weber carburettor’d Lotus twin-cam nestling in acres of under-bonnet space. I love the Gulf liveried oil catch tank. 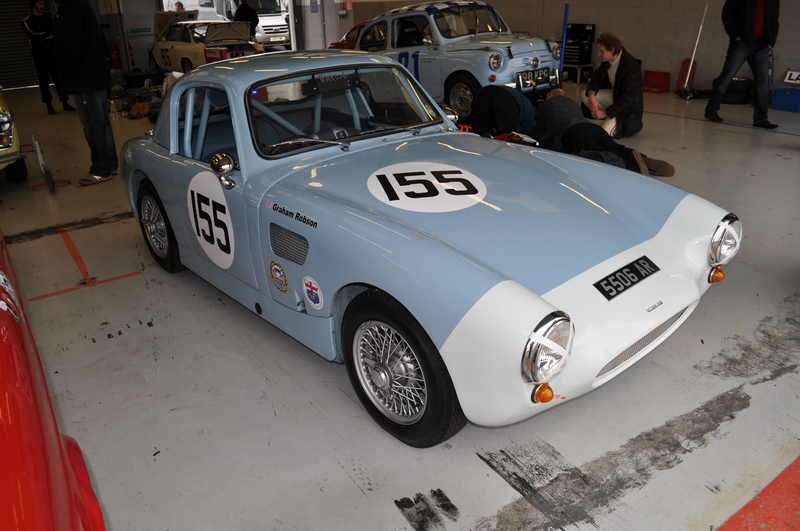 This beautiful RGS Atalanta in its two-tone blue and white colour scheme really stood out in the paddock and on track. RGS stands for Richard Gaylard Shattock who bought up parts from the former Atalanta company which had closed down at the beginning of WW II. He went on to produce fibre glass bodied cars into which Lea Francis, Ford and Jaguar engines could be fitted. There were a couple of nice Sunbeams being raced. 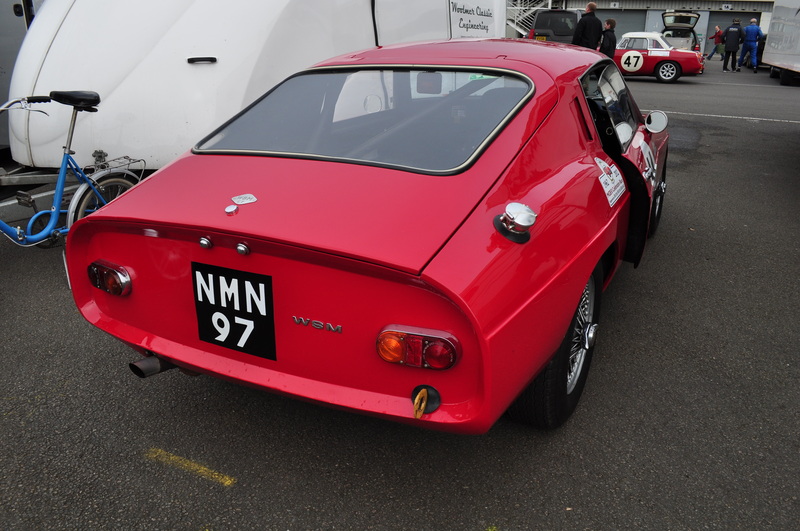 One was a very nice early Alpine with the pronounced rear fins in homage to American cars of the 50s and 60s. The other was a mighty Tiger. 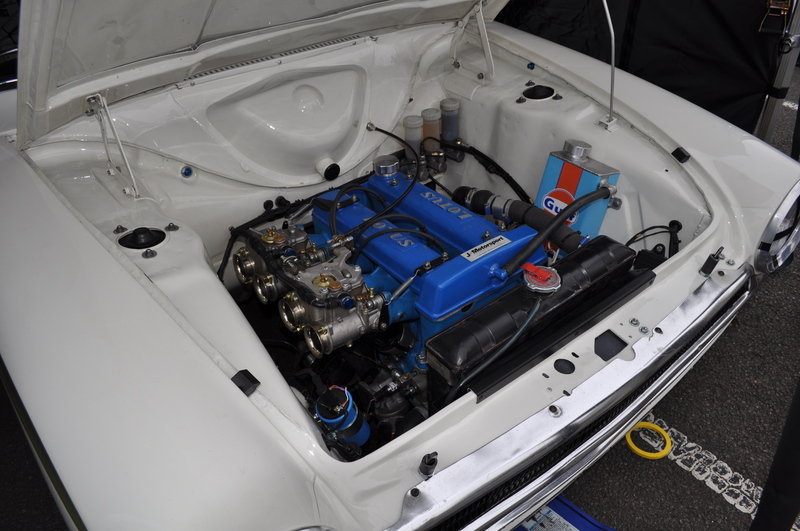 I could never work out how they managed to fit a Ford 4.7 V8 under the bonnet. It always looked a bit of a tight squeeze to me! 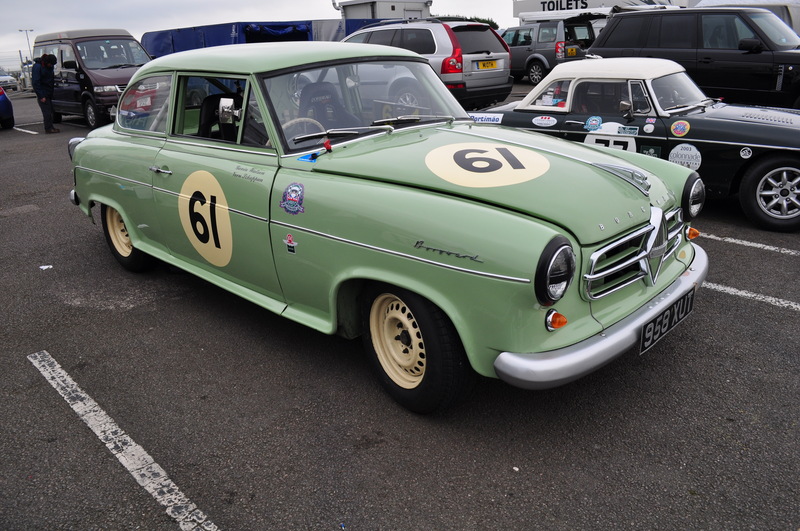 Tucked away in one side of the paddock was a lovely WSM MGB. 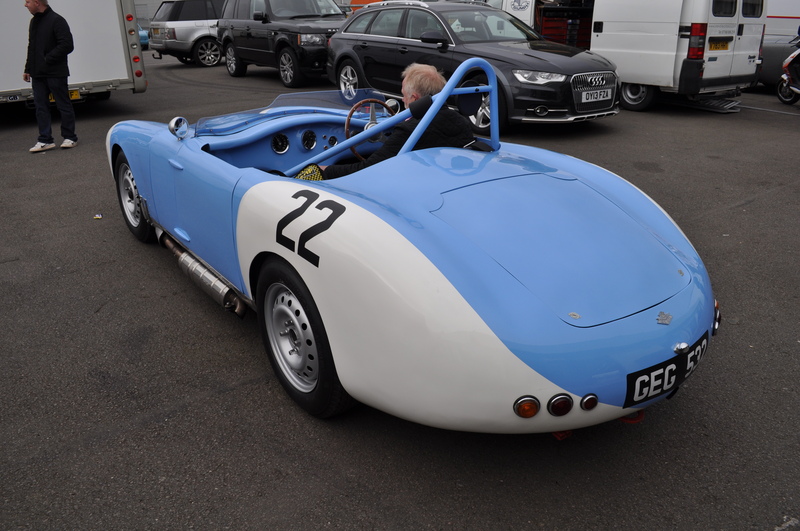 WSM was a combination of the surname initials of the cars creators Douglas Wilson-Spratt and Jim McManus who initially started out building lightweight (aluminium bodied) and tuned Sprites for the racing fraternity of the early 1960s. 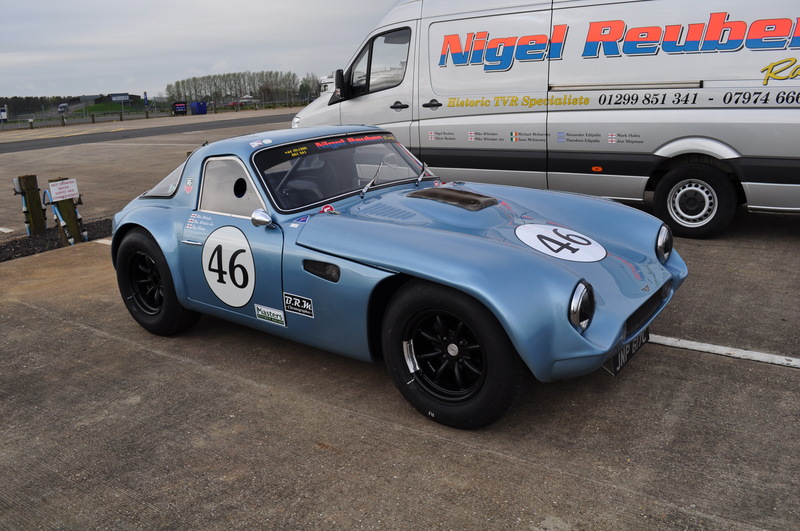 They also created a number of other vehicles including a lightweight bodied WSM MGB GT. Great write up. Tremendous history of the Aston Martin brand. Seeing the DP214 and the C-type Jaguar alone would have been worth the price of admission! Nice blog Phil! Thanks Matt. 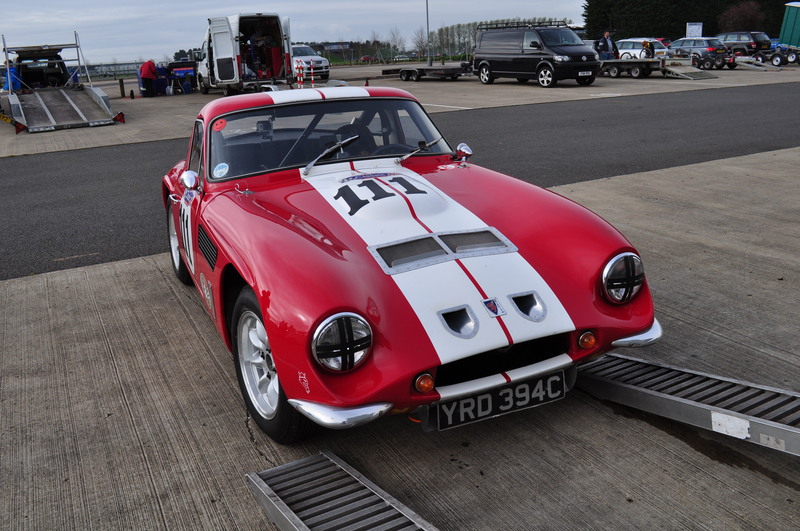 Club events really offer a great day out with open access to a fantastic variety of cars. The exciting on-track racing is the icing on the cake.